Watatsumiite: Mineral information, data and localities. Named after Watatsumi (or Wadatsumi), a Japanese sea god, analogous to Neptune in European mythology and Aegir in Scandinavian one, thus the nexus with Neptunite and Aegirine, named after that sea god. 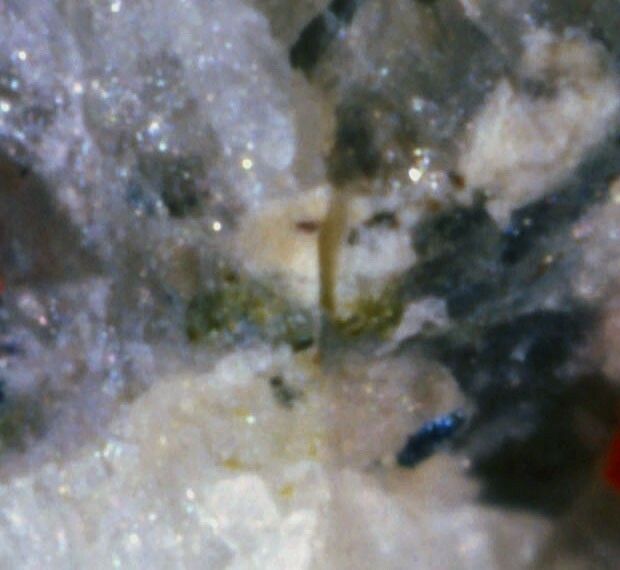 Light yellowish green prismatic crystals, less than 1mm long, embedded in massive quartz. Potassic-ferri-leakeite 1 photo of Watatsumiite associated with Potassic-ferri-leakeite on mindat.org. Matsubara, S., Miyawaki, R., Kurosawa, M. and Suzuki, Y. 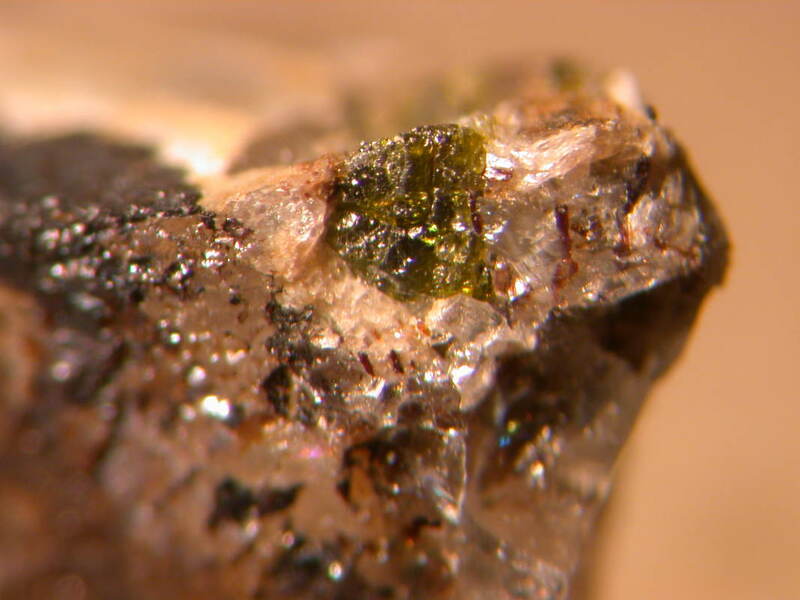 (2003): Watatsumiite, KNa2LiMn2V2Si8O24, a new mineral from the Tanohata mine, Iwate Prefecture, Japan. Journal of Mineralogical and Petrological Sciences, 98, 142-150. Matsubara, S., et al. (2003) Journal of Mineralogical and Petrological Sciences, 98, 142-150.